Kramer Fine Art | Frida. 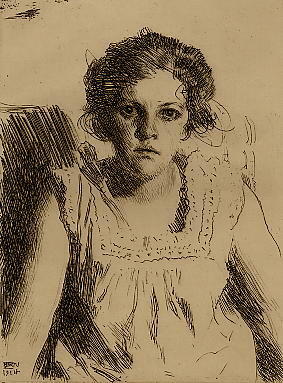 Etching, 1914, H. & H. 161, 1st and only state. Signed in pencil. Dated in plate.